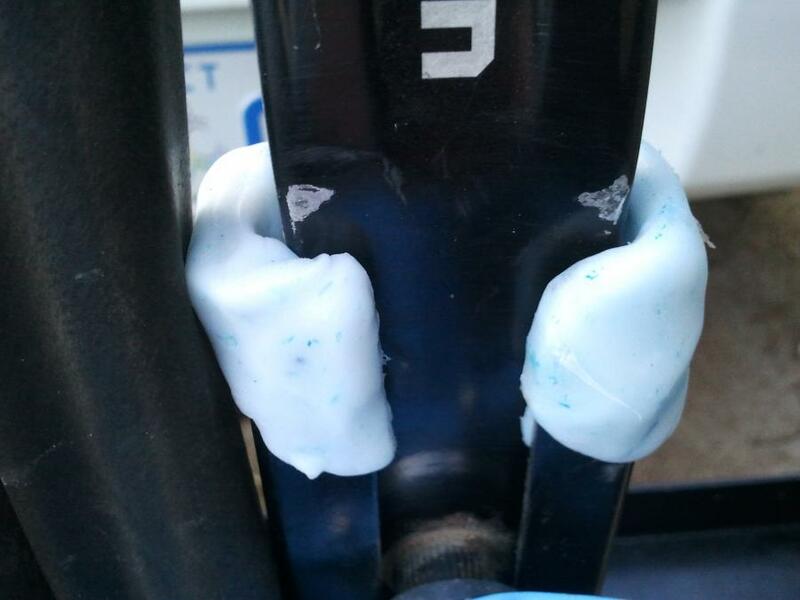 Thomas used Plastimake to improve his bike rack. The problem was that his bike would rattle around in the rack causing the bike's crank to get damaged. 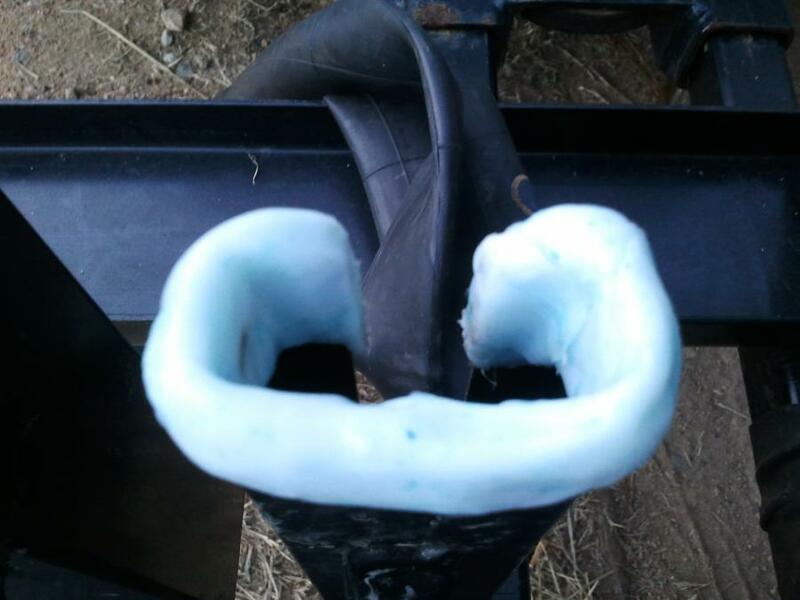 You can see where the paint on the crank has been scratched in the photos below. To solve the problem, Thomas formed a small amount of Plastimake around the top of the bike rack. 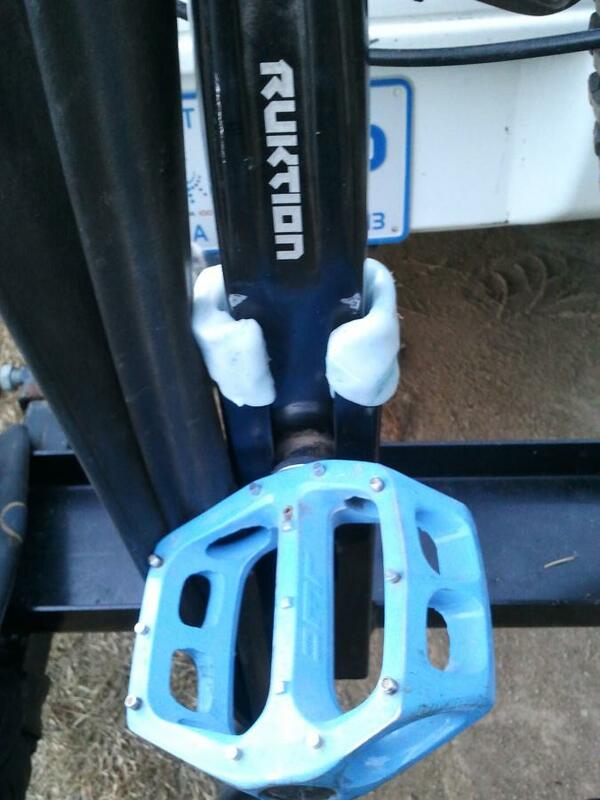 He reports that his upgrade has been a success, "Works well, no more chipped or scratched cranks and heaps quieter."